Large and beautiful screen, with 3 colors screen to show Time & Temperature & Humidity, make the function more clear and it's easy to read. automatically turns off after 8 seconds. 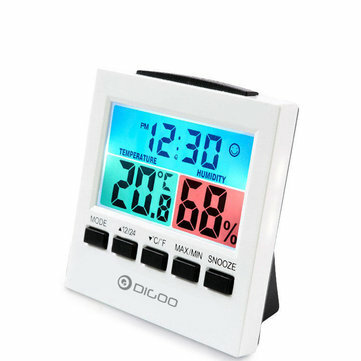 Not only provide accuracy temperature and humidity, it also replace calendar, clock and alarm color.